Flows: 200 cfs (very low) to ~1,500+ cfs (~1.4 to ?). 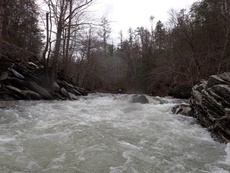 Check out American Whitewater's current flow gauge. Shuttle: 4 miles, 10 minutes. 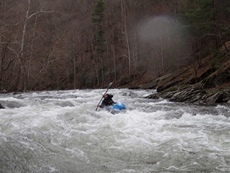 For those not ready to run some of the harder drops on the Upper section of the Tellico such as Baby’s and Jared’s Knee, this run offers a great experience on the Tellico without the stress or danger of those bigger drops. For those who are running laps on the Upper section, consider adding this section on for a longer stint of paddling unabated. Unlike the scenery on the Upper, the scenery on the Middle section is actually very nice. 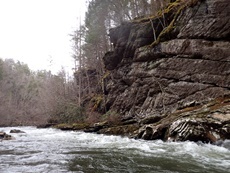 Cliffs guard the river, with trees growing tall from the precipice of overhanging ledges seeming to defy gravity and in addition to several other laws of physics. And this is all despite the road never being more than 20 feet up the right side of the river. 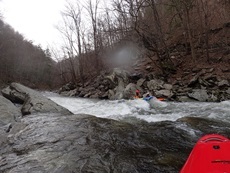 But somehow it is less imposing and less of a distraction than on the Upper but offers a great comfort for those who are pushing their abilities on this section of river. The other benefit of the road is that there are multiple take-out options thanks to a plethora of turnouts on River Rd letting you add as little or as much excitement as you see fit. The one time thus far that I have run this section, we had ~3.0’ on the gauge. I thought this was a great flow for this section. The slides felt padded but not pushy and there were no significant holes or hazards that had to be negotiated. 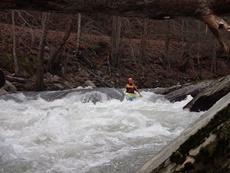 At lower flows I am sure it is easier, but it would also be quite scrappy and abusive. 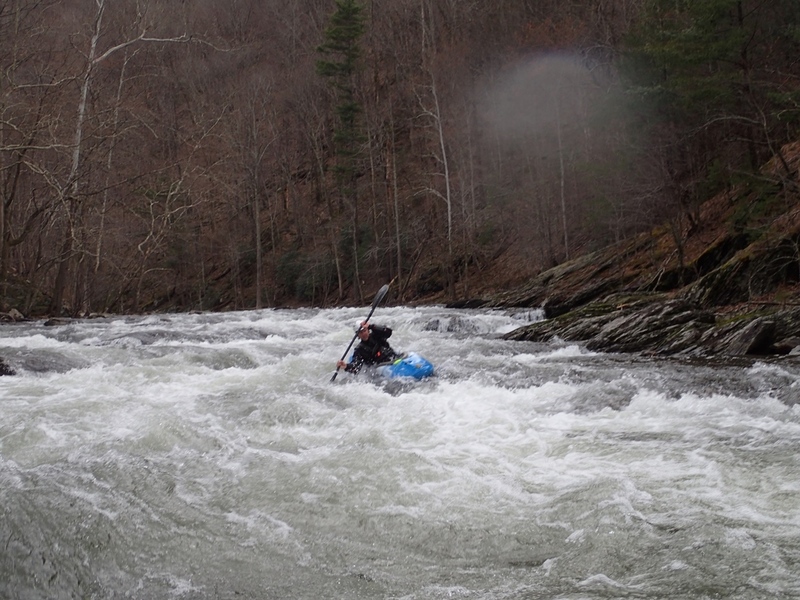 For me, I wouldn’t go back much lower… but then again I am not the typical client to the Middle Tellico. 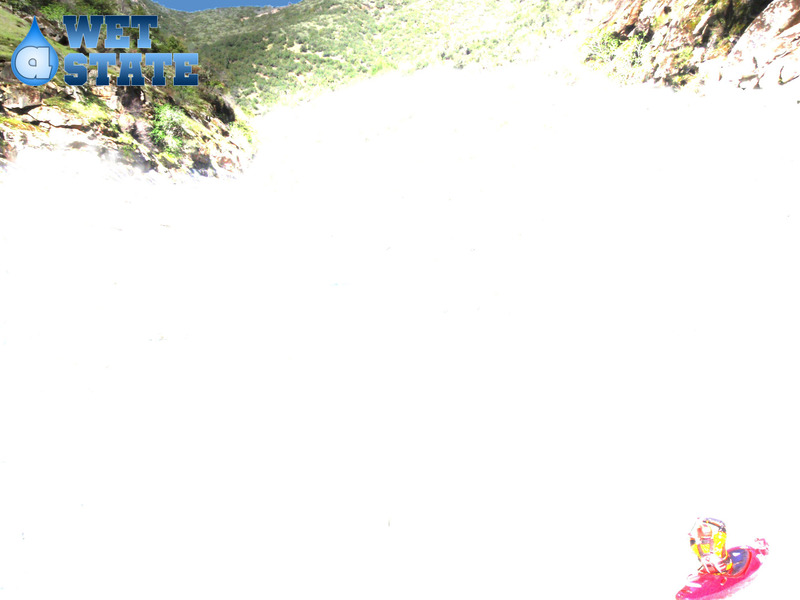 The run starts off with the hardest section of water. So if you are stepping up, inspect the first 0.4 miles and determine if you want what you see. Otherwise put in below Bounce off Boulder to take some of the teeth out. Or… if you are doing the Upper, take-out just below to add a few more quality rapids! 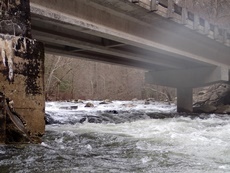 Bridge Rapid (III-). 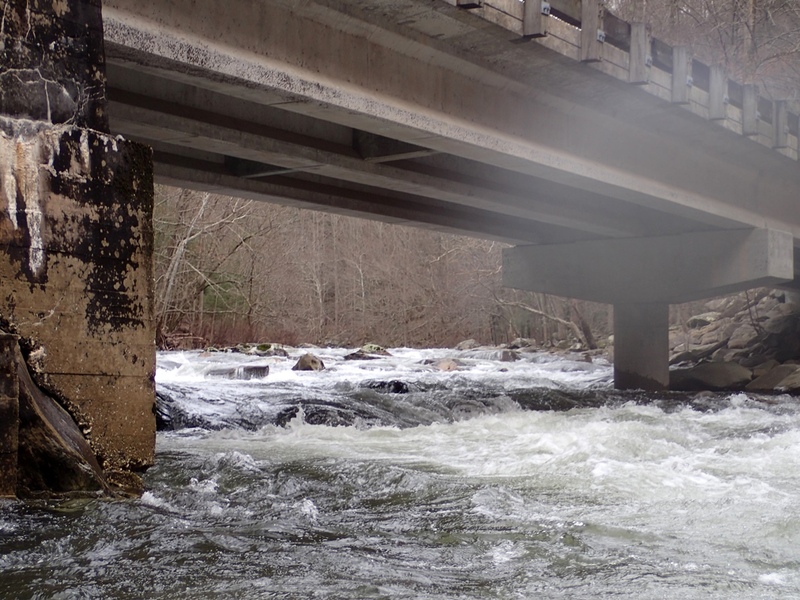 Directly under the bridge is the first rapid of the run. We caught all sorts of eddies and worked left to right. You can just stay right throughout. The Ledges (III). Around the first corner is this next fun rapid. 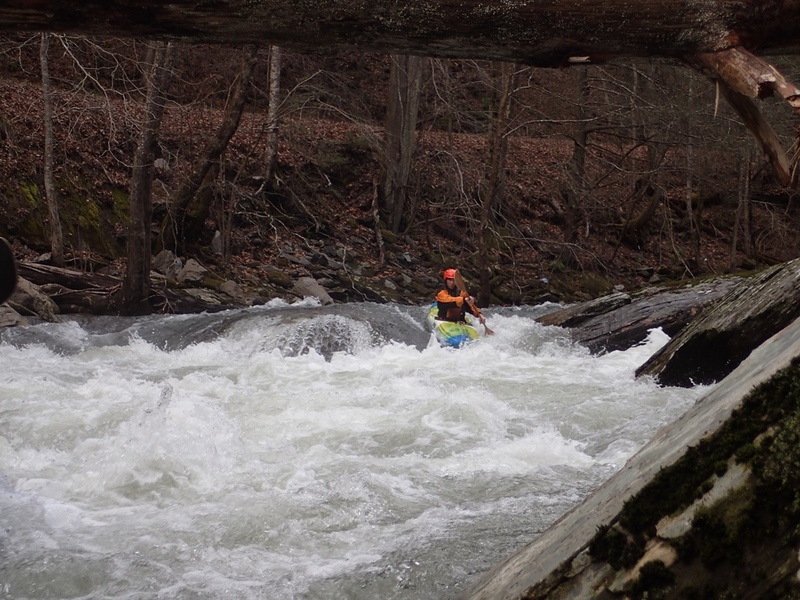 A series of slides and small ledges can be negotiated just about anywhere at most flows. I aimed for the deepest water and some lines are shallow. We generally went down the left. Bounce off Boulder (III+). 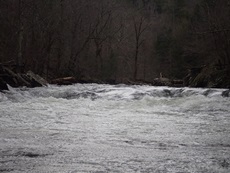 Not far downstream you get to the biggest rapid of the run. This rapid has all sorts of fun eddies to catch on either side of the rapid. Two at the lip on either side made a fun challenging ferry too! Or you can run straight through it down the middle. The bottom has a hole that folds in from the left but it flushes into the pool below. This is also a great ender spot when it has enough water. Below there are still fun rapids, but the overall difficulty steps down for a bit. Picks Back Up (III). 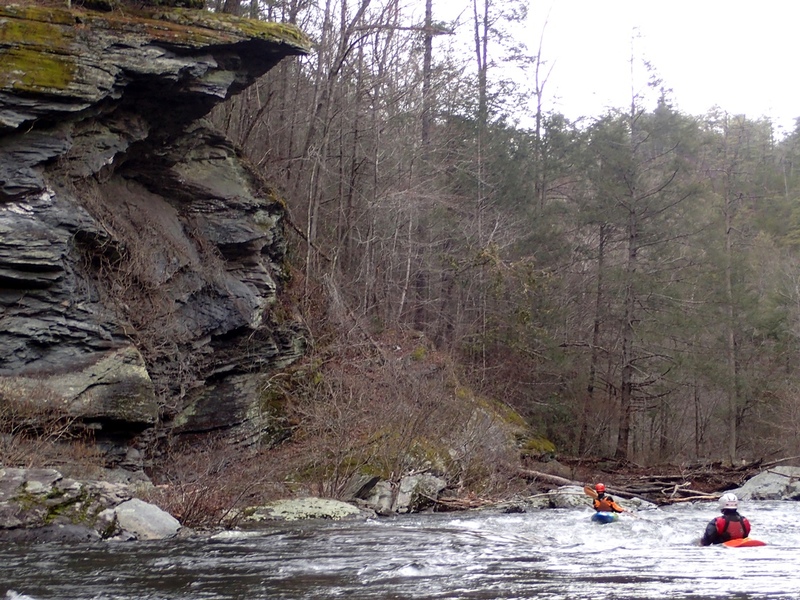 On a sweeping left turn the river constricts and enters a tighter canyon. 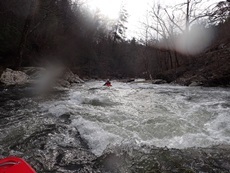 The rapid within can be run right or left and has a folding hole on either side. When dropping over it appears to drop 5 or 6 feet! 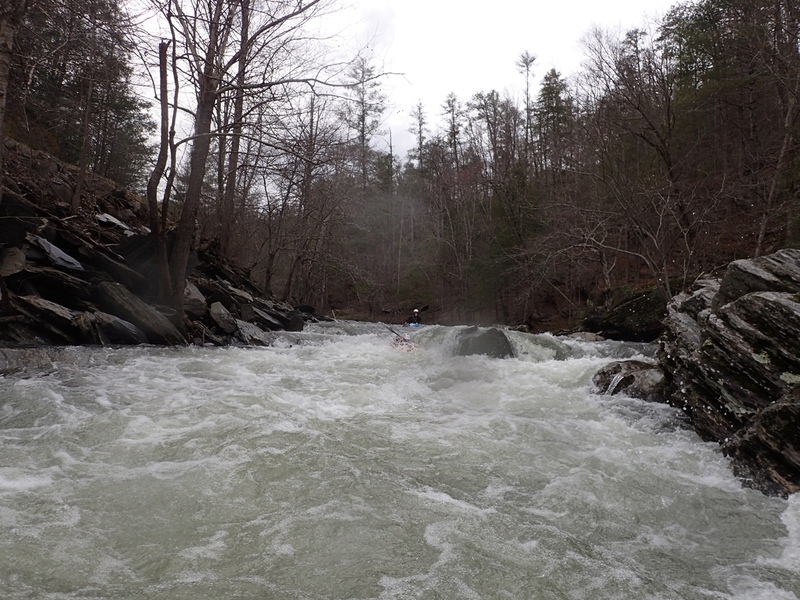 Rapids begin to be class II+ in more frequency with some fun eddies to catch and a fun boof or two! Splitter Ledge (III). Two back to back drops in quick succession provide one last hurrah. 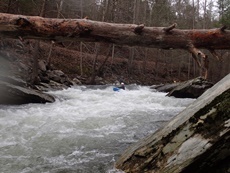 The first has a ramp down a tongue where all the river then slams into a midstream boulder. Work to either side. Below is a tricky ledge that can be run far right or with more car left. There are folds on the ledge that want to push you towards the hole in the middle which is worse than on the outsides. 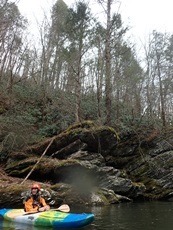 Downstream is another fun drop that we ran down the right. “Keep Right” (II+). A rapid has a marked sign on the left shore telling you to stay right. 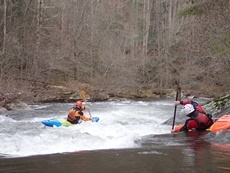 At lower flows it is a tight pinch that can cause beginners some trouble. 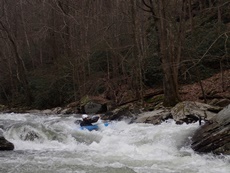 At higher flows is was a class II mindless rapid. 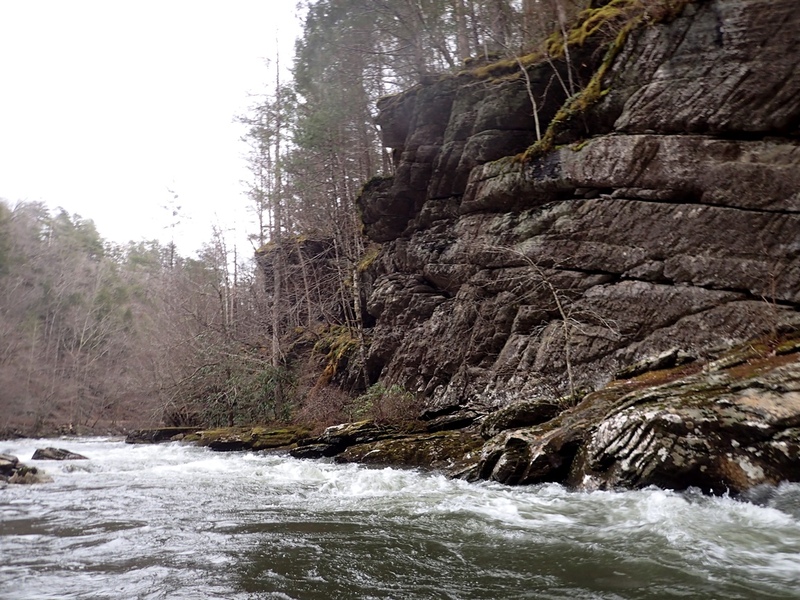 Take-out: From the town of Tellico Plains, take TN-165 4.5 miles east up river. When the river tries to bend away from the river, turn right on River Rd to continue traveling upriver on the smaller two lane road. Basically, just start looking for turn-outs wherever looks good. 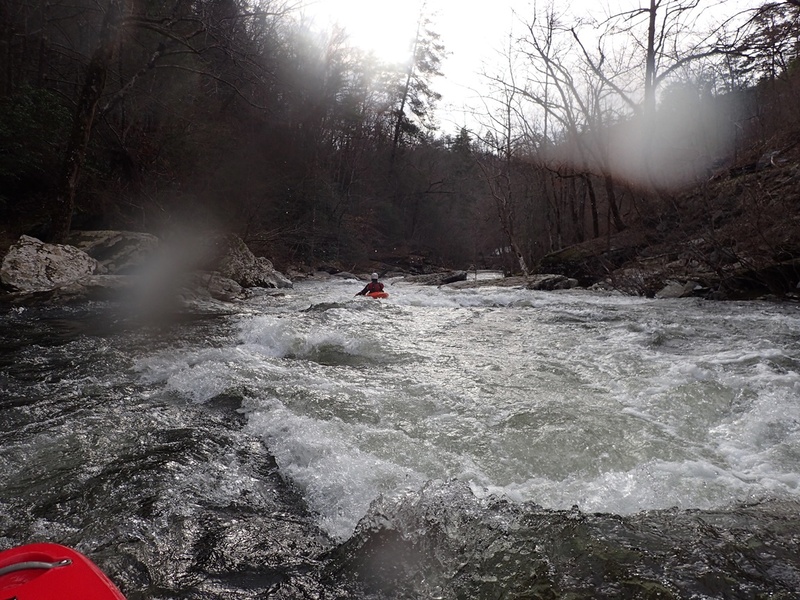 We took out just upstream of the Ranger Station. 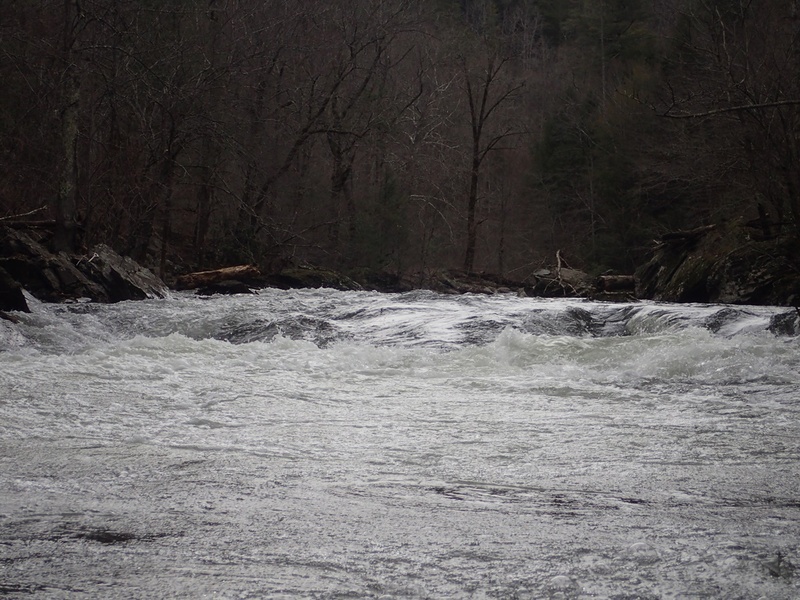 Put-in: Continue upstream for ~4 miles until you cross the river. Parking is on the left.